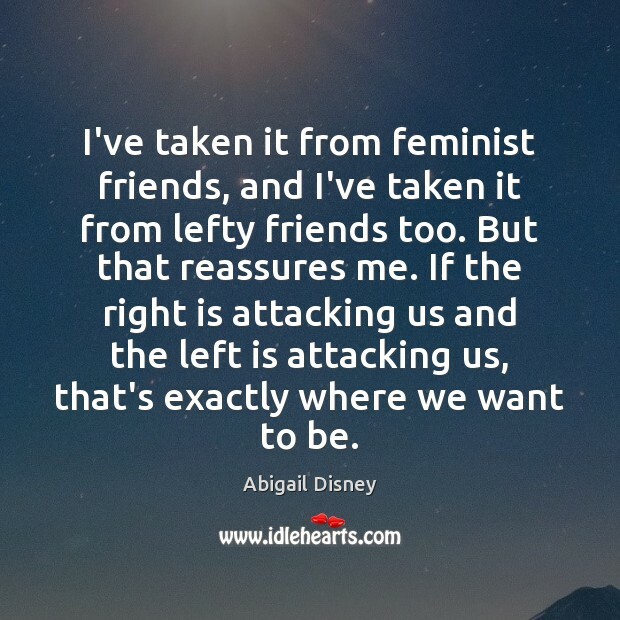 Enjoy the best inspirational, motivational, positive, funny and famous quotes by Abigail Disney. Use words and picture quotations to push forward and inspire you keep going in life! 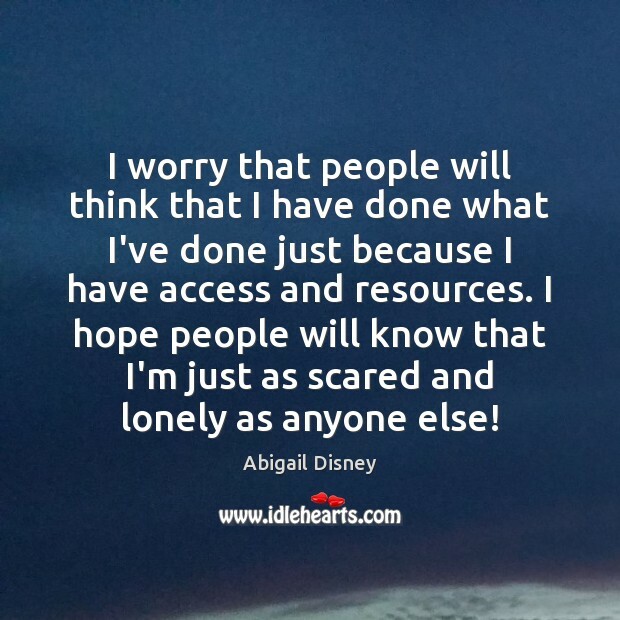 I worry that people will think that I have done what I've done just because I have access and resources. I hope people will know that I'm just as scared and lonely as anyone else! 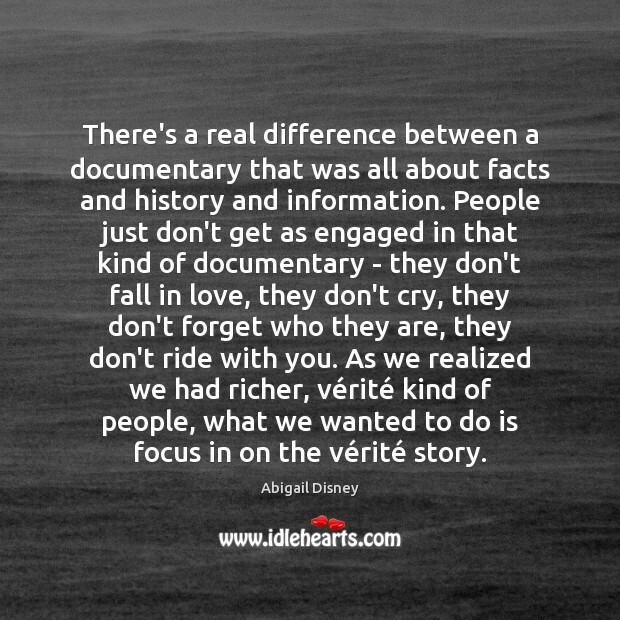 There's a real difference between a documentary that was all about facts and history and information. People just don't get as engaged in that kind of documentary - they don't fall in love, they don't cry, they don't forget who they are, they don't ride with you. As we realized we had richer, vérité kind of people, what we wanted to do is focus in on the vérité story. My family achieved success not in spite of, but because of the American system of taxation. 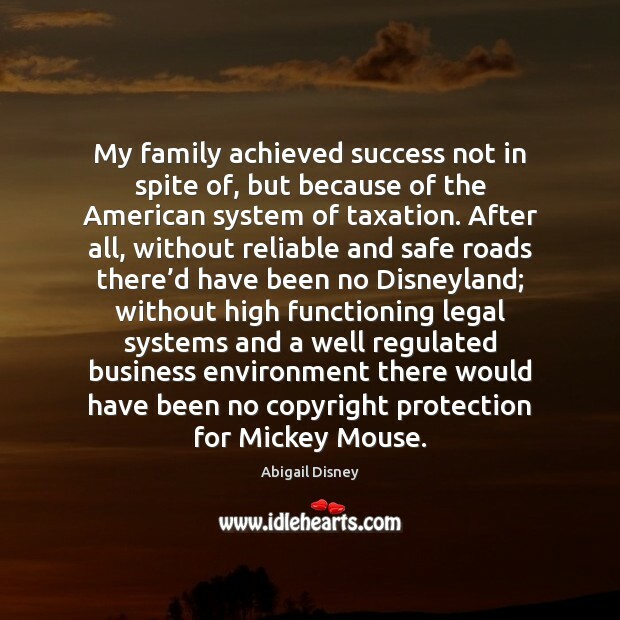 After all, without reliable and safe roads there’d have been no Disneyland; without high functioning legal systems and a well regulated business environment there would have been no copyright protection for Mickey Mouse. 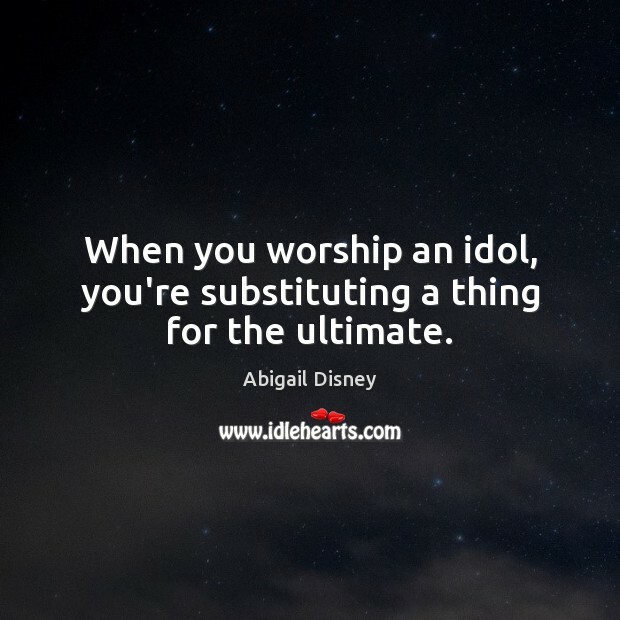 When you worship an idol, you're substituting a thing for the ultimate. 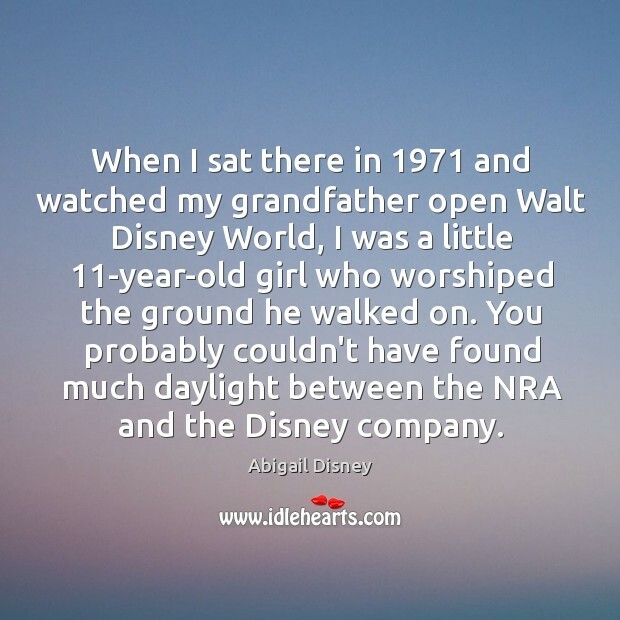 You probably couldn't have found much daylight between the NRA and the Disney company. They probably would've had had identical demographics for the people who really loved those companies. 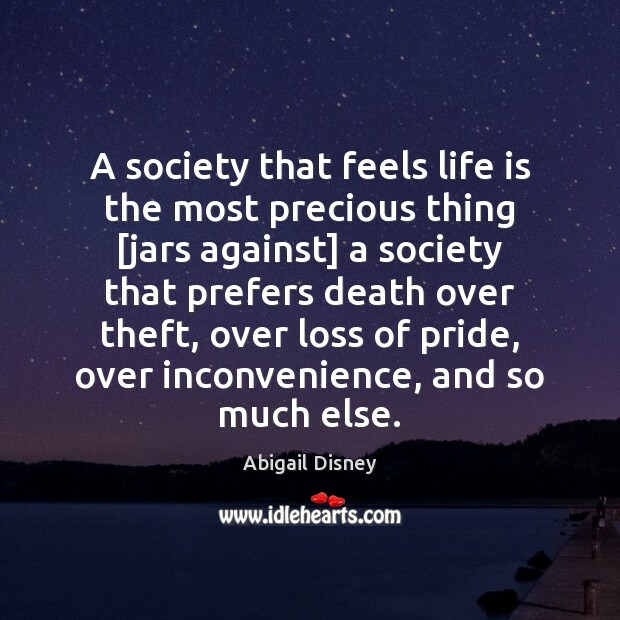 A society that feels life is the most precious thing [jars against] a society that prefers death over theft, over loss of pride, over inconvenience, and so much else. 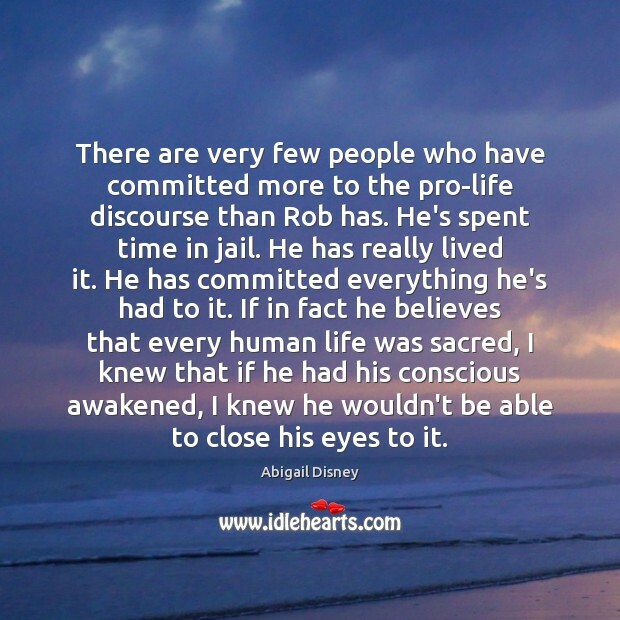 There are very few people who have committed more to the pro-life discourse than Rob has. He's spent time in jail. He has really lived it. He has committed everything he's had to it. If in fact he believes that every human life was sacred, I knew that if he had his conscious awakened, I knew he wouldn't be able to close his eyes to it. Once we got to know each other, we had such similar impulses. We saw in a similar way, and we developed a strong friendship. 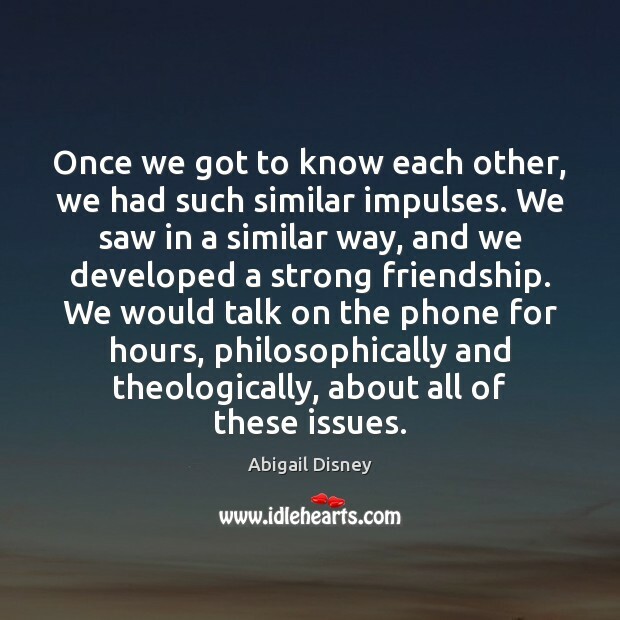 We would talk on the phone for hours, philosophically and theologically, about all of these issues. Conservative values aren't really reflected in the radical values of the NRA. 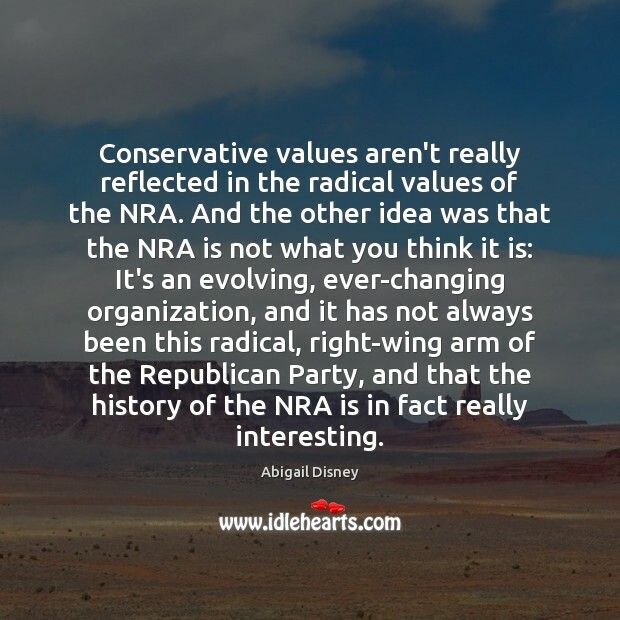 And the other idea was that the NRA is not what you think it is: It's an evolving, ever-changing organization, and it has not always been this radical, right-wing arm of the Republican Party, and that the history of the NRA is in fact really interesting. 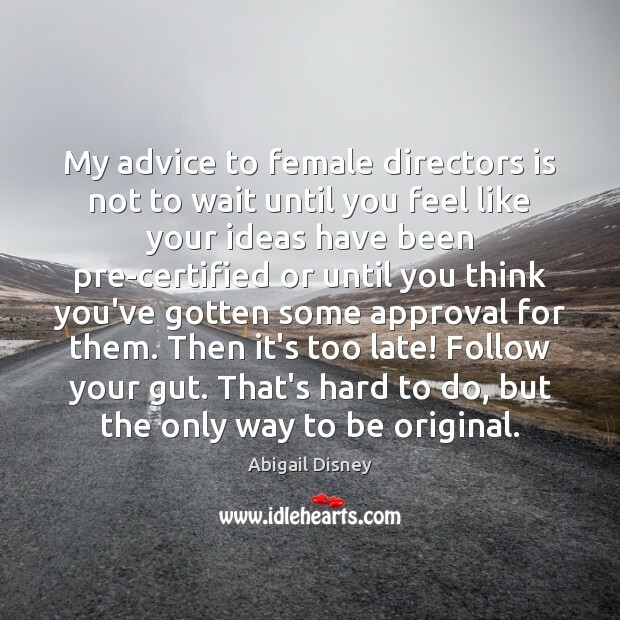 My advice to female directors is not to wait until you feel like your ideas have been pre-certified or until you think you've gotten some approval for them. Then it's too late! Follow your gut. That's hard to do, but the only way to be original. I get very close to people when I'm shooting them. We would go and shoot a scene with Lucy, and I would spend the whole time telling her about Rob. Then I would go shoot a scene with Rob and tell him all about Lucy. Eventually they wanted to know each other. These are two people who would never have overlapped in any other way or context. We brought to the garden at Rob's office and just sat and watched what unfolded. I remember weeping behind the camera, because I was so moved by the way they connected. 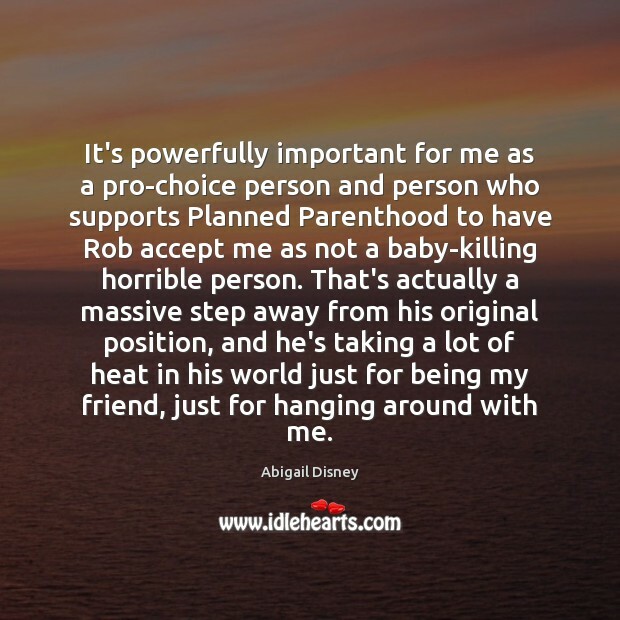 It's powerfully important for me as a pro-choice person and person who supports Planned Parenthood to have Rob accept me as not a baby-killing horrible person. That's actually a massive step away from his original position, and he's taking a lot of heat in his world just for being my friend, just for hanging around with me. 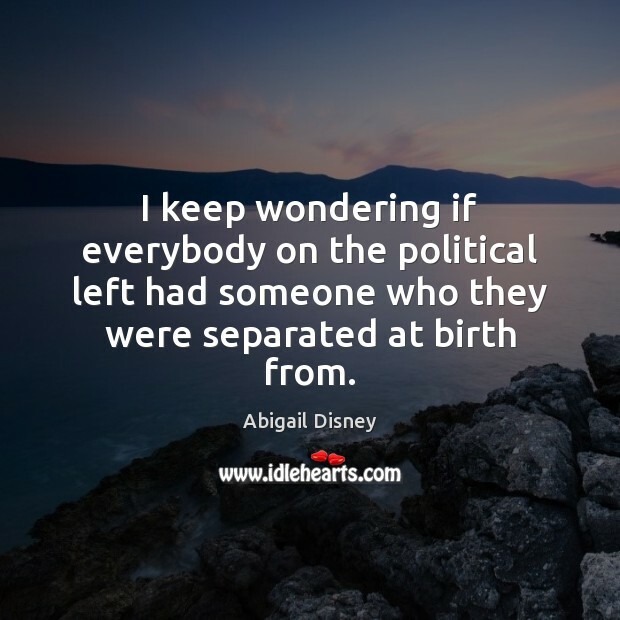 I keep wondering if everybody on the political left had someone who they were separated at birth from. 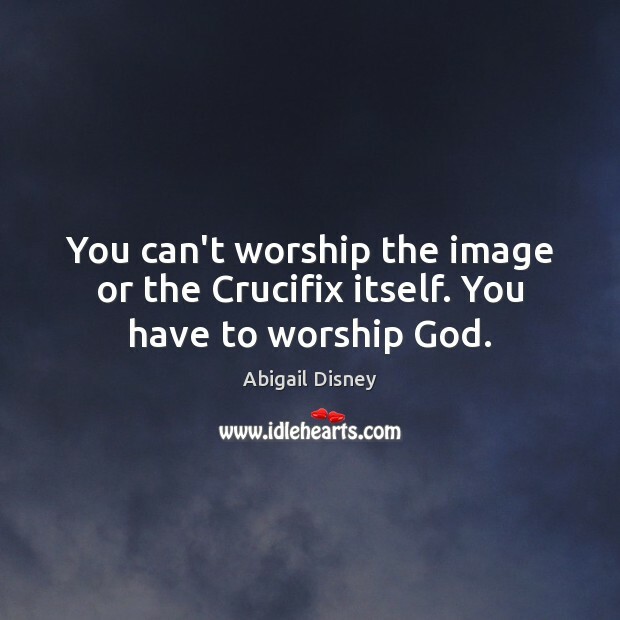 You can't worship the image or the Crucifix itself. You have to worship God. When I sat there in 1971 and watched my grandfather open Walt Disney World, I was a little 11-year-old girl who worshiped the ground he walked on. 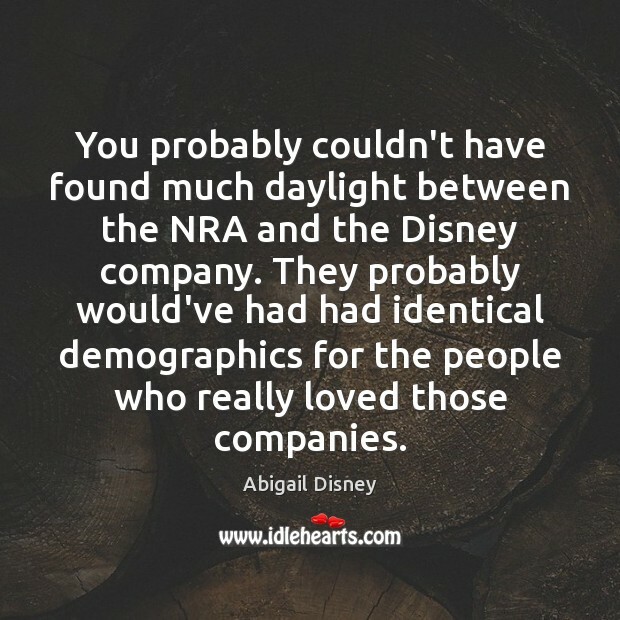 You probably couldn't have found much daylight between the NRA and the Disney company. 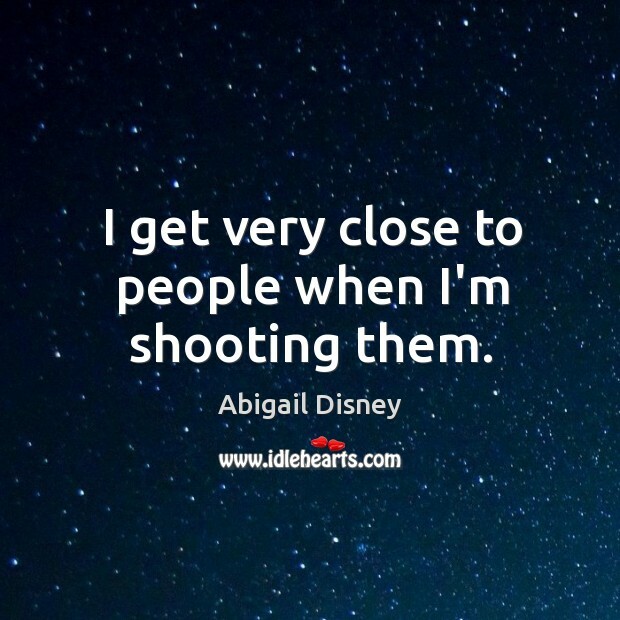 I get very close to people when I'm shooting them.